The story begins on a cold and bleak Christmas Eve in London, seven years after the death of Ebenezer Scrooge's business partner, Jacob Marley. Scrooge, an old miser, hates Christmas and refuses an invitation to Christmas dinner from his nephew Fred. 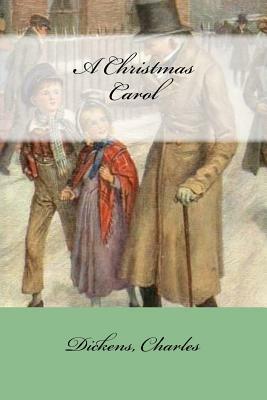 He turns away two men who seek a donation from him in order to provide food and heating for the poor, and only grudgingly allows his overworked, underpaid clerk, Bob Cratchit, Christmas Day off with pay to conform to the social custom. At home that night, Scrooge is visited by Marley's ghost, who wanders the Earth, entwined by heavy chains and money boxes, forged during a lifetime of greed and selfishness. Marley tells Scrooge that he has one chance to avoid the same fate: he will be visited by three spirits and he must listen to them or be cursed to carry chains of his own, much longer than Marley's chains.